Yesterday someone asked me, “Di ka ba nagugutom? Puro salad lang kinakain mo?” (Don’t you get hungry? Is salad all you eat?”) My answer to both questions is No. No, I don’t let myself go hungry and I eat more than salads. 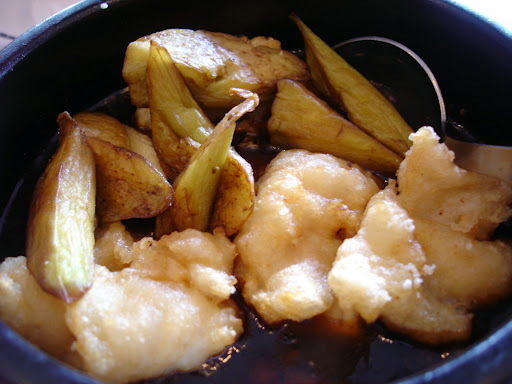 After church yesterday, my brother-in-law invited us for lunch at a Chinese restaurant. He knew about my No Meat 30 Day Challenge so he ordered a fish fillet, tofu and eggplant hotpot and broccoli with mushroom for me. No, I didn’t eat the fish. The tofu was smooth, delicate and melt-in-your-mouth good! I love broccoli and I love mushrooms! 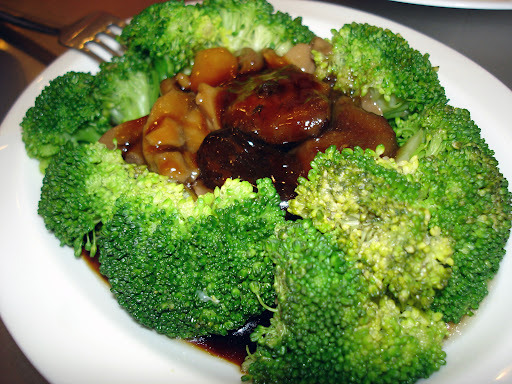 The sweet sauce set off the opposing textures of broccoli and mushrooms very well. And if we weren’t full already, we all went to Dairy Queen and each had a Dilly Bar. Fun!